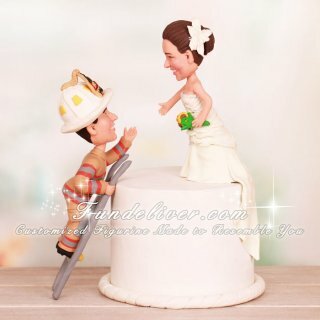 This is a completely customized fireman climbing cake saving bride wedding cake topper ordered by one of our customers. They would like the firefighter groom to be in his firefighting uniform and white firefighter helmet, climbing a ladder to get to his bride. Most firefighter helmets are black, but his is white, since he is the chief of the company. 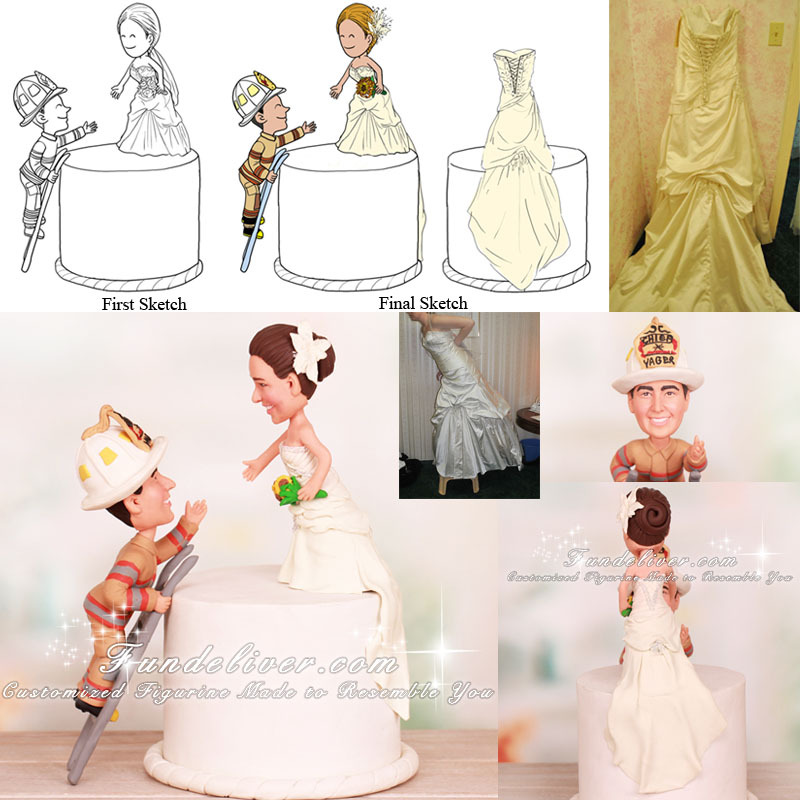 For the bride, they would like her figurine to be in her wedding dress, standing on their cake, reaching down to fireman groom with one hand and holding a bouquet of sunflowers. Her dress is an ivory color with a long V shape train, flowing over the cake. Both bride and groom figurines are smiling, looking at each other.